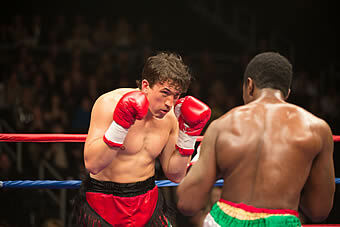 Synopsis: Based on the incredible true story of one of boxing’s most charismatic and colorful champions, Bleed for This centers on Rhode Island native Vinny Pazienza (Miles Teller), AKA “The Pazmanian Devil.” When a near-fatal car accident leaves him with a broken neck and the prognosis that he may never walk again, Vinny teams with trainer Kevin Rooney (Aaron Eckhart) and stages a triumphant return to the ring. Miles Teller could have been basking in glory now. After playing an ambitious jazz student in Damien Chazelle’s critically acclaimed Whiplash in 2014, he and Emma Watson were both initially supposed to star as the leads in Chazelle’s La La Land. Eventually, both dropped out (Watson was committed to 2017’s Beauty and the Beast), and Teller proceeded with starring in, ahem, Fantastic Four (2015), War Dogs (2016) and this biographical boxing film. While we won’t go into why Teller wasn’t chosen to star in the critical darling that is La La Land, let’s just say people are going gaga over Ryan Gosling and Teller, well, won’t be getting much love from the juries when the awards season arrives. 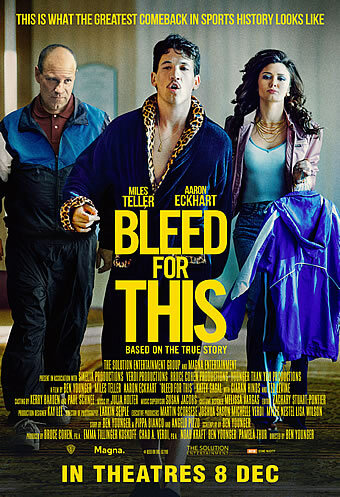 What we would like to point out though, is that the 29 year old actor does a fine job in this movie based on the life of former world champion boxer Vinny Pazienza. It is just unfortunate that other movies are getting the love this year – it’s a game of luck in showbiz after all. Ben Young (Boiler Room, Prime) directs Teller and an ensemble cast to tell the story of Pazienza, a world champion boxer who refuses to retire from boxing after a car accident which leaves him severely injured and almost paralysed. 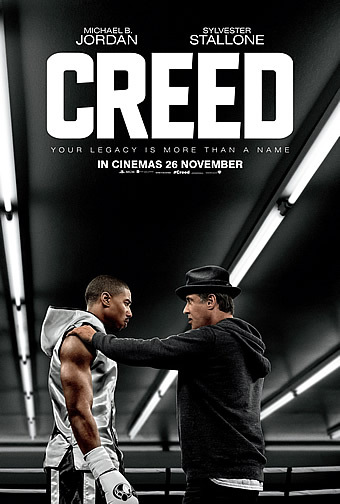 When it comes to sports movies, tried and tested formulas are aplenty. This one doesn’t try anything different and that’s not a bad thing. 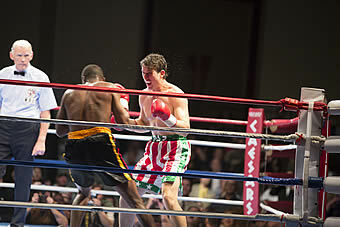 Movie clichés come in the form of a down and out boxer rising to the occasion with sheer determination, as well as extreme close ups showing how he recovers from mishaps and eventually greets his supporters as a champion. This is an engaging and entertaining movie, and the 117 minutes are easy to pass as there are no self important speeches that come off as self indulgent. It helps that Teller has enough charisma to pull this role off – his screen presence works to show how the protagonist starts off as a haughty sportsman, gets into the dumps and finally makes it with will power. The New YorkUniversity’s Tisch School of Arts alumnus is magnetic as the lead character, and is a nice contrast from his role in Whiplash. 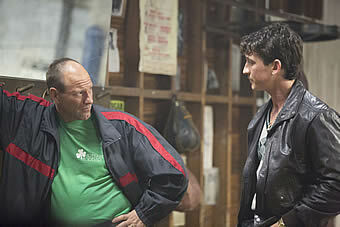 Teller’s performance is supported two solid actors: Aaron Eckhart (sporting a paunch to play a renowned trainer who helps Vinny return to the ring) and Ciaran Hinds (looking very esteemed as Vinny’s father). Together, they create a movie charged with testosterone. While female characters are not in the limelight, actresses Katey Segal, Christine Evangelista and Amanda Clayton do their part to put on a good show. 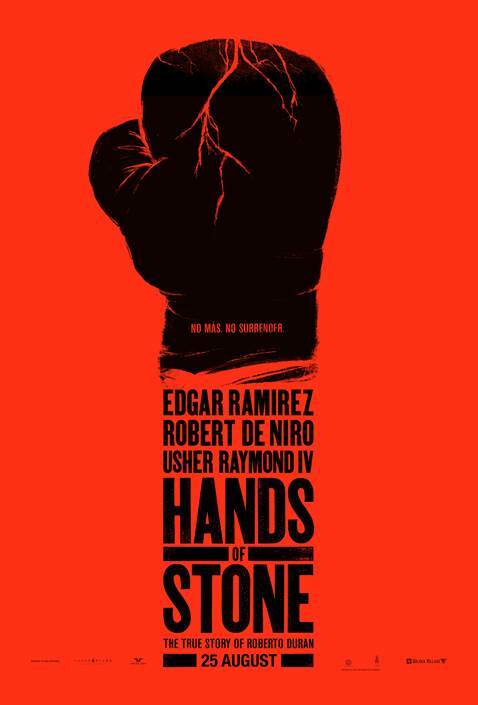 This may not be a classic like Rocky, but it has enough entertainment value to make it an enjoyable flick. It is an old fashioned way of telling a story, but it works in this day and age where films are trying hard to be clever. 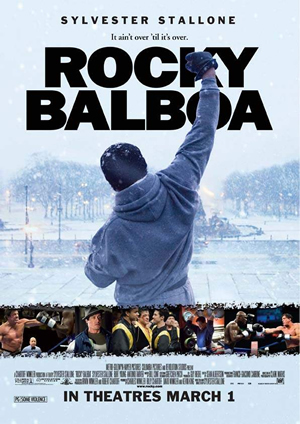 Besides the slightly amusing opening sequence, you will be able sit through this movie and be emotionally committed to the character and how he regains confidence to box again.